Fall in love with our new Balis! The Bali Roses & Lilacs collection is a mouth-watering collection of pink shades. 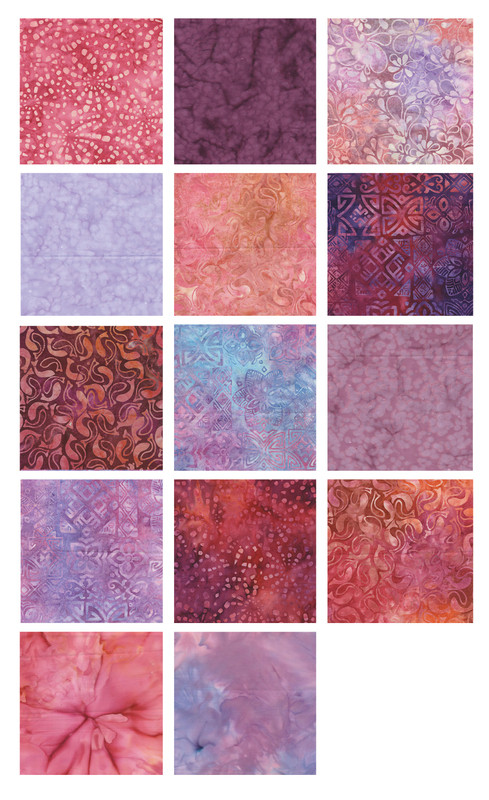 From light shell pinks to rich raspberry to deep russet, this fabric line has so much to love and will create a beautifully shaded quilt. Click here to see the entire Bali Roses & Lilacs collection. I do agree this is a beautiful collection of fabrics that I would love to own! Beautiful! I love raspberries and any shade of pink.